We are back with a vehicle! And not a starship or walker or anything like that. 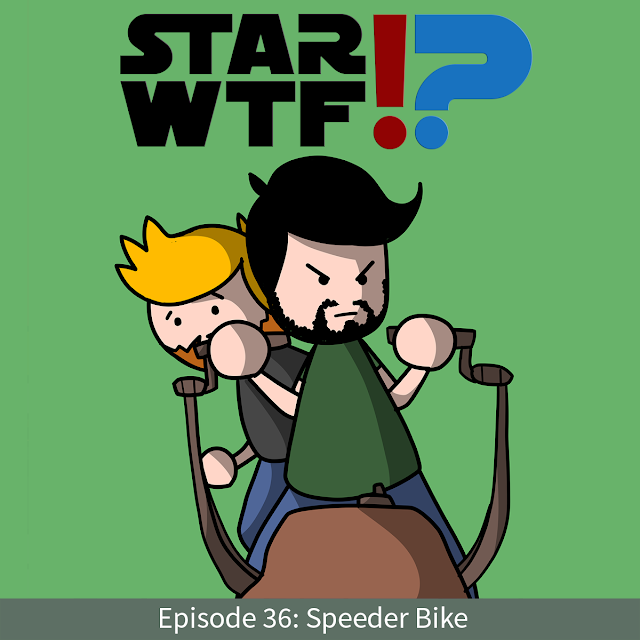 It's the Speeder Bike! Only one of the coolest vehicles in the galaxy. We look at WHY the speeder bike is so cool and discuss the TWO Return of the Jedi scenes as well as the Revenge of the Sith scene (who knew there was one?). 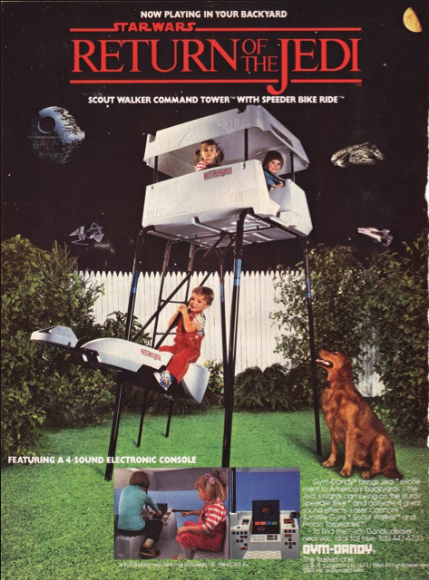 We also discuss the best swing set of all time, the Scout Walker Command Tower by Gym Dandy with bonus Speeder Bike swing. This one's a long one, but a good one. Speeder bikes, also known as hover bikes, were open-air repulsorlift vehicles, usually carrying one or two passengers. Speeder bikes emphasized speed and maneuverability over conventional speeders and were popular with thrill-seeking teenagers and military scouts. A typical speeder bike had a maximum altitude of 10 meters (32 feet) and could thus maneuver deftly over very rough terrain. Some companies manufactured extras like sidecars for speeder bikes.